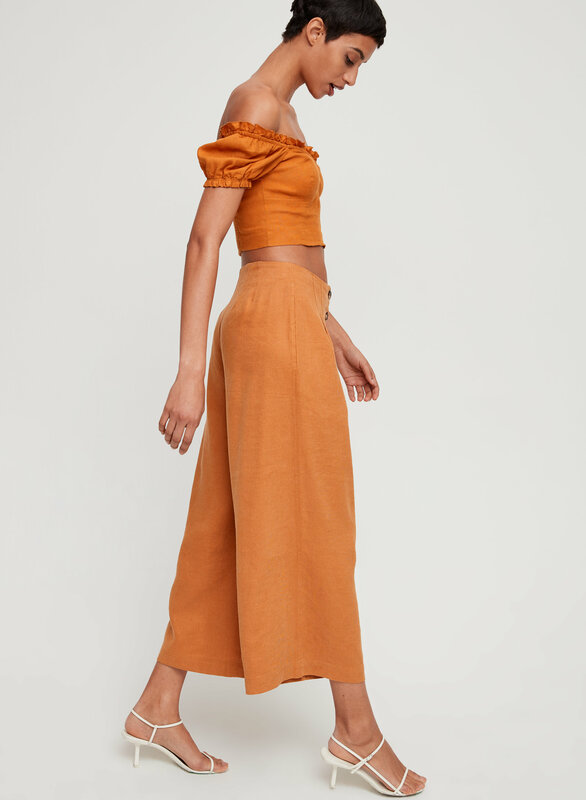 What are you going to wear with that cute top? 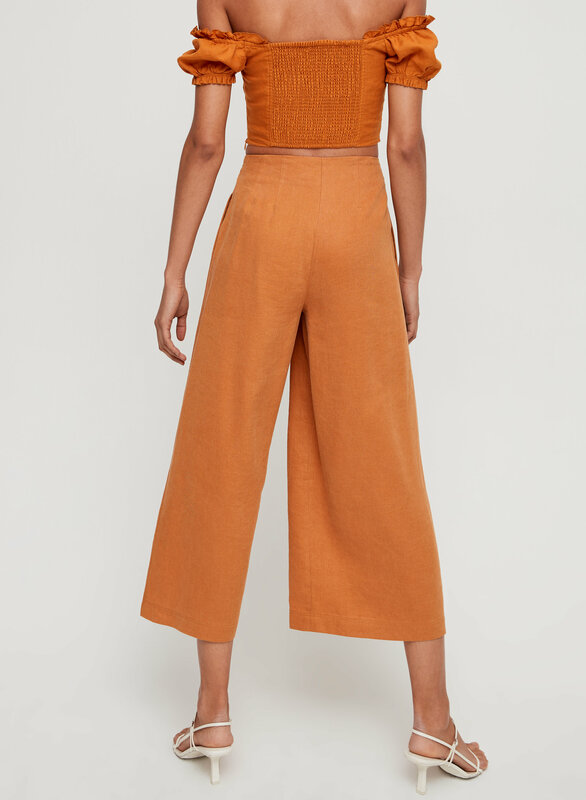 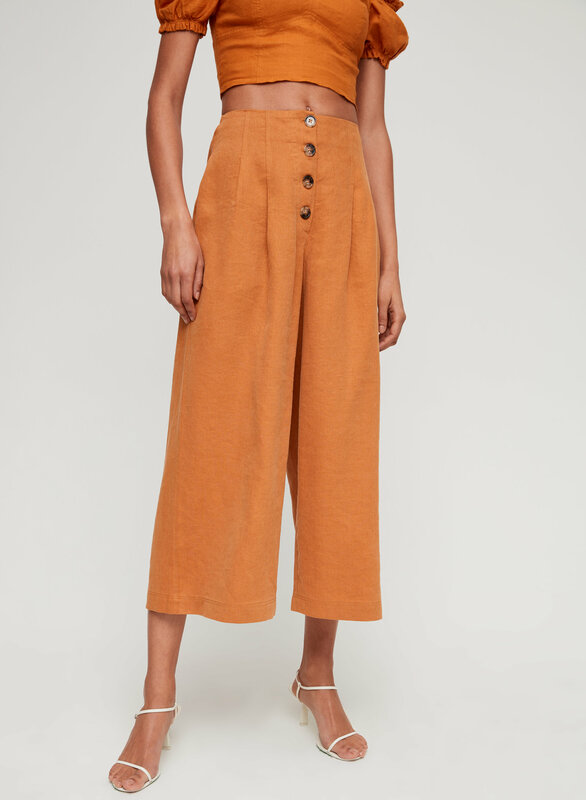 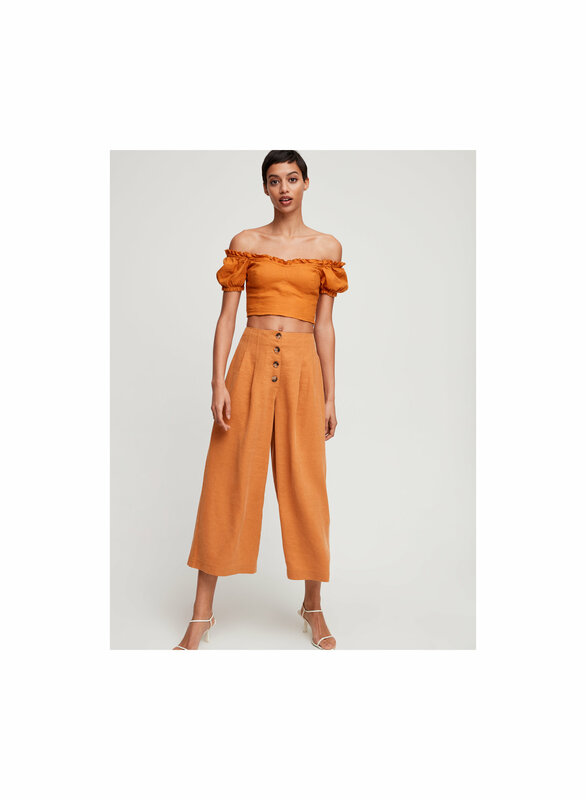 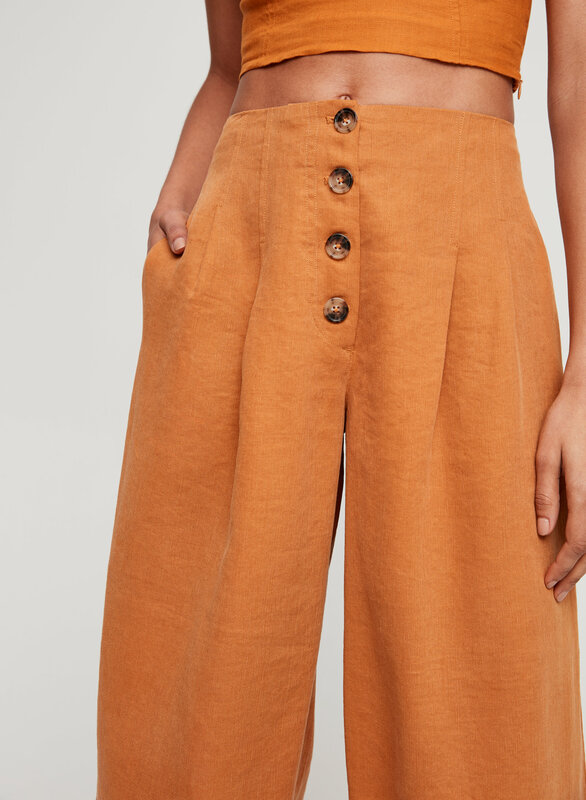 This is a high-waisted, button-front pant with a wide, pleated leg. 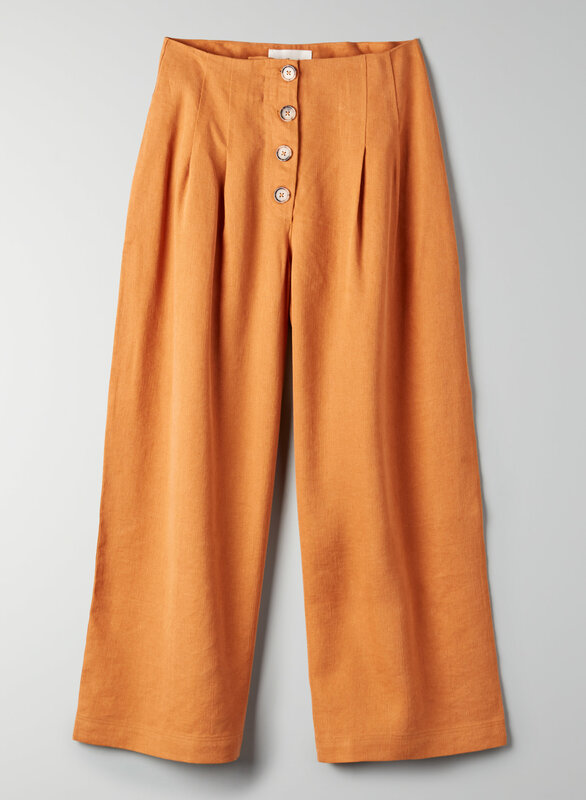 It's made from a linen-blend fabric that resists wrinkles and drapes beautifully.